Our Park City dentists have treated numerous patients who were in need of both cosmetic dentistry and restorative dentistry procedures involving dental implant tooth replacement. They say most adults over the age of 20 have either lost or broken a tooth at some point in time. This can be due to trauma, excessive wear, tooth decay, a congenital defect, gum disease, a failed root canal or various other common issues. The loss or breakage of a tooth can not only be embarrassing from an aesthetics standpoint, but it can also make it difficult to chew properly, leading to jaw pain and uneven wear on your remaining teeth. The procedure involves our dentists surgically installing a stable base to the jawbone and the gum tissue. This base allows for the attachment of custom-made dental or porcelain crown to fill in the gap where the missing tooth used to be. These artificial teeth are sturdy enough to chew and can be made to match the natural color and shape of your existing teeth. The base is installed over a series of appointments and requires the recipient to have healthy gums and adequate bone structure to accept the implant. And since the procedure attaches the implant directly to the jawbone, dental implants are not an option for growing children. 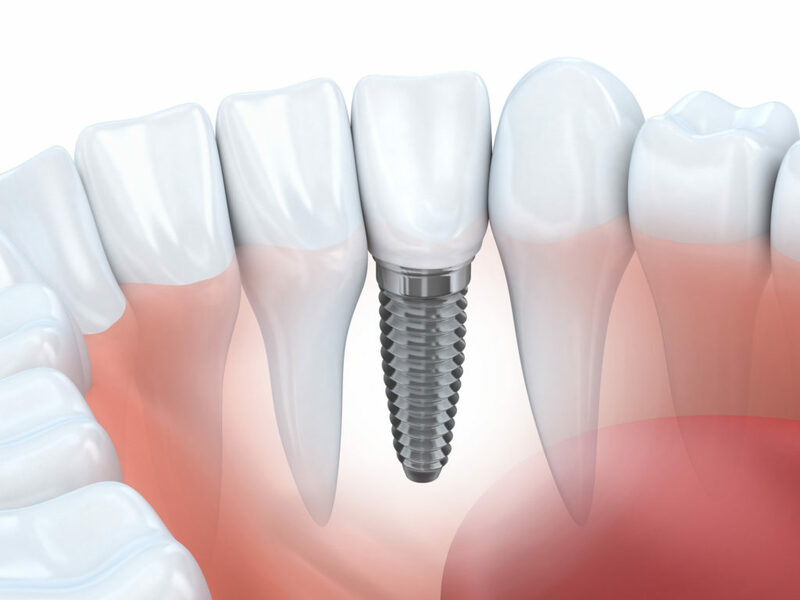 Dental implants can be used to replace anything from a single tooth to an entire mouth full of teeth. They can be successfully installed in individuals suffering from a wide range of medical conditions, including gum disease, diabetes and high blood pressure, although smokers may experience a reduced success rate. Mini-dental implants are available for current denture wearers who wish to achieve a better fit from their dentures. The implant is about the diameter of a toothpick and snaps into your dentures, providing for a tight, secure fit and still allowing the dentures to be removed for cleaning and maintenance. If you’re tired of your dentures slipping, mini-dental implants might be the solution you’ve been waiting for. If you’re suffering from tooth loss or breakage, dental implants by our Park City dentists might be just the right procedure to restore your smile and ability to chew.